If you run a business, you’re always looking for tools that will enable increased productivity and maximise time, without adding to energy commitments. Happily there are a number of iOS app templates available at CodeCanyon that will help businesses do just that. App templates are ideal for businesses and developers targeting the business market because the templates provide core functionality and make it easier to create your own specialised apps. Today we’ll look at the 10 best iOS app templates for business available at CodeCanyon. This is the kind of app that is useful for any business person who has ever been in a meeting and wanted to share information on their mobile phone easily. This is the kind of app that users will pay good money to own! 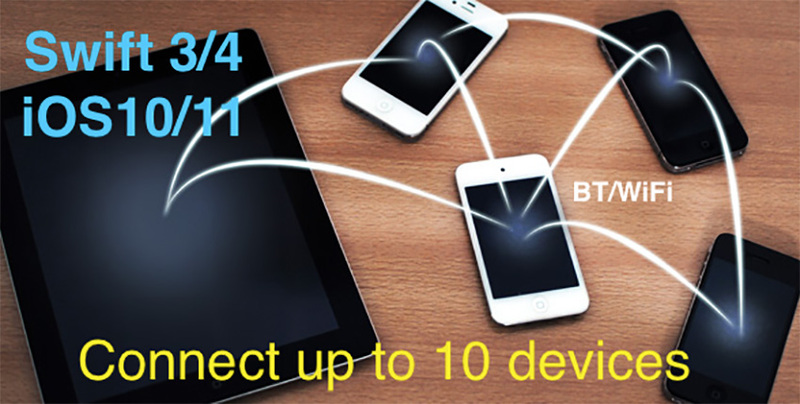 Built with Swift, as all the other apps here are, the Wireless Device Connection app template allows developers to create an app that uses Apple’s Multipeer Connectivity Framework to connect with up to 10 iOS devices at a time. The app lets users share files, images, videos, speeches, and text. This makes it a great tool not only for impressing your business colleagues with your tech savvy, but also for sharing information easily and efficiently. 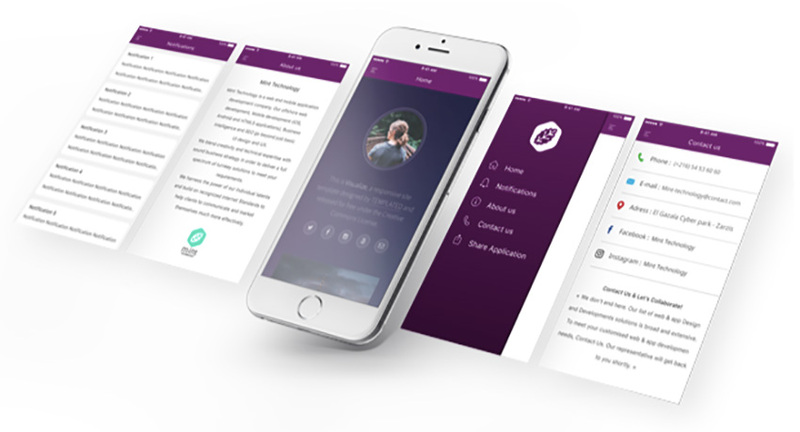 The My Business App template will appeal to small businesses which have a limited technology budget but want to use their website content to create their own app. The beauty of this template is that it requires no coding knowledge. Using just their website’s URL, in just a few clicks users can convert their website content into an app. The template provides a number of colour themes to match your company’s brand, offers push notifications, and will work equally well on iPhones and iPads. 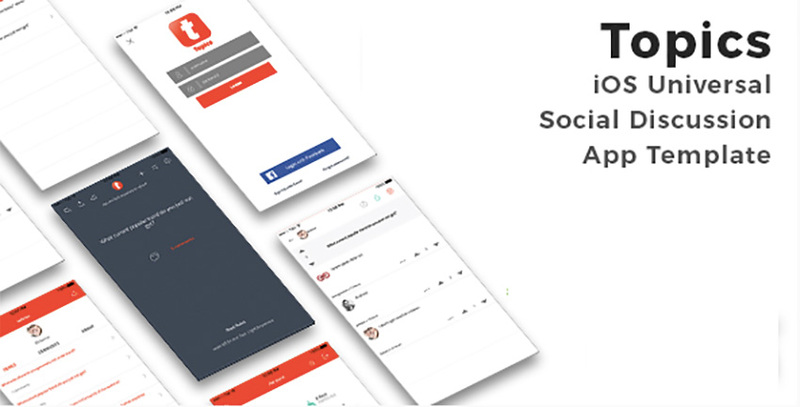 Topics is a social media app template that helps developers create a forum type app. This is great for businesses because it allows them to create their own space for customers and clients to chat about issues regarding their products or services. Clients can browse topics or search for them, join existing conversations by posting comments, or create a new topic if it doesn’t already exist. The template also provides report features for inappropriate topics, comments, and/or users. This functionality is needed for this type of app in order to pass the submissions review for Apple's App Store. Need to create your own chart on the spot in a meeting? 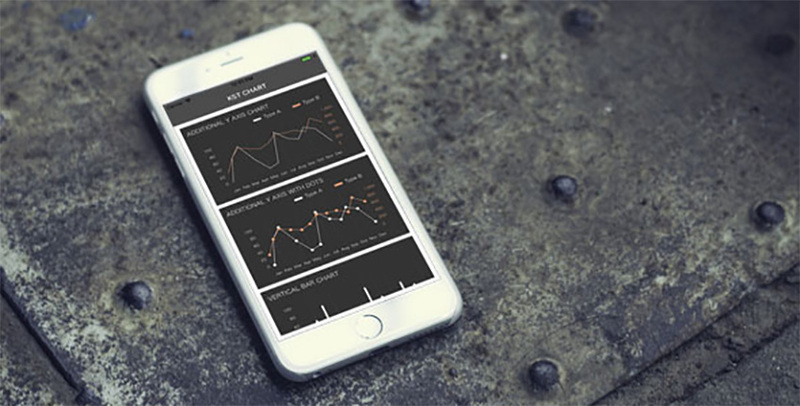 KST Chart app template provides an easy-to-use, highly customisable iOS chart library that business owners will find a handy on-the-go tool. The template allows developers to build an app that enables the end user to create a wide variety of charts such as bar, column, and line charts quickly and easily. There is a reason organiser apps are popular in the business category. They help busy people with endless demands on their time organise and prioritise tasks and keep on top of their duties large and small. For businesses that want to create their own organiser app with features and events relevant to their specific company, there is the TODO App template, which comes with a number of great features like colour themes to match the company’s brand and various viewing options like a Today task page and a Calendar page. In addition, the app is so easy to set up and customise that it doesn't require knowledge of coding to get started. 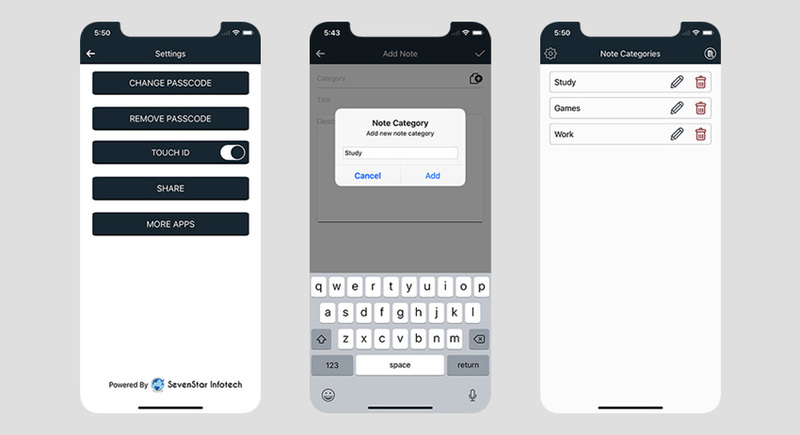 The Secure Notes app template allows developers to create a notes app that works with Touch ID and PIN technology to ensure that notes the end user makes on their device are private. This is ideal for business people dealing with sensitive information who may want to make notes on the go but who also want to ensure that what they write stays private. Features include the ability to organise notes by category and to add rich text in the notes. 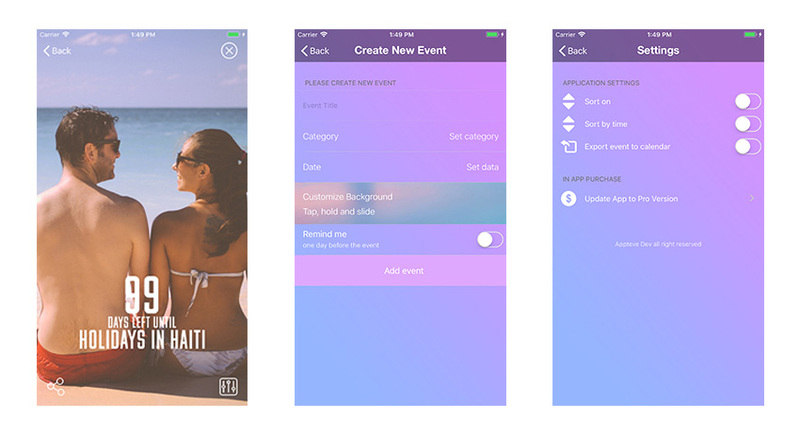 The Eventio app template allows developers to create an event app. End users can create, edit, and delete events and can also create custom categories to organise events. Events can then be sorted by time or category. The app provides an animated countdown to events which can be customised with a company’s brand. The Video Survey & Review Tool app template is ideal for businesses that want to create a customer survey app allowing customers to give feedback about a product or service. 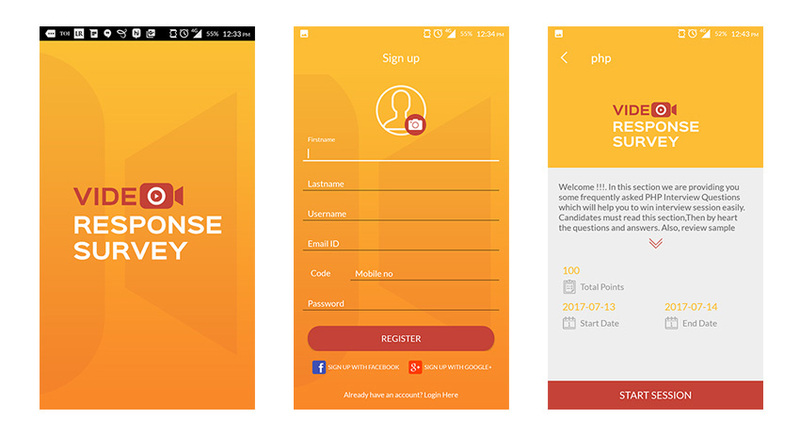 Companies are able to create their survey questions using the app, and their clients then answer the questionnaire through video via the app. The app template is easy to customise, and its features include a detailed analytics report and full integration with a cloud service of your choice. Today, many businesses interact with people across the globe, and for those times when you’re confronted with a speaker of a language you aren’t fluent in, a good translator app is a necessity. 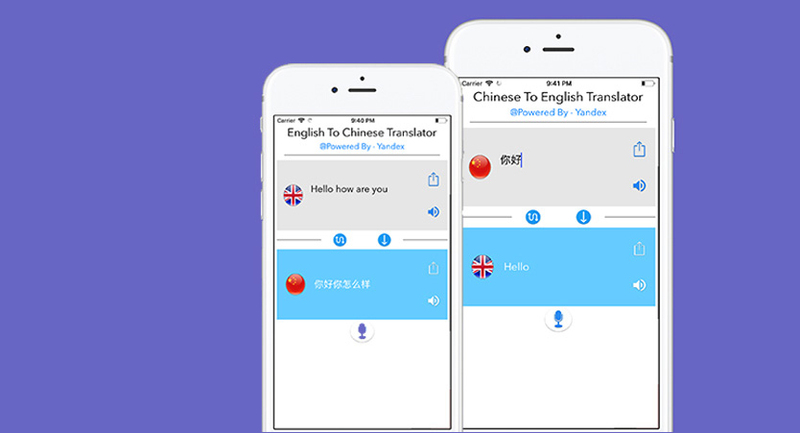 The Multi-Language Translator app template allows developers to create an app that is capable of translating over 200 languages. Aside from the usual language translator, it allows the end user to translate speech to text and text to speech. This makes conversation between speakers of different languages not only possible but far more fluid than before. Customer service is one of those aspects of business that can definitely make or break a company, and the AskIt app template aims at helping companies make it when it comes to supporting their customers. 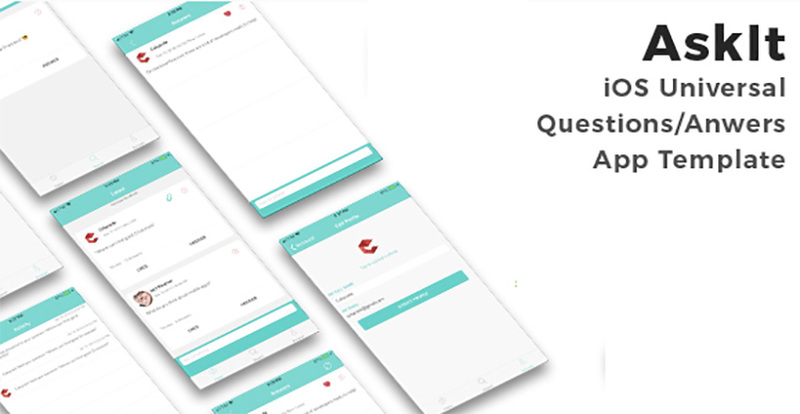 The template allows developers to create a specialised question-and-answer messaging app where clients and customers can message their queries and designated employees can message an answer. What’s more, other customers have access to these questions and answers, which helps to reduce duplication and save time. Some of the great features available with this app are the ability to search questions using keywords, the ability for users to like questions and answers, and the ability to report abusive contents. These 10 best iOS app templates for business are just a small selection of the hundreds of iOS app templates we have available at CodeCanyon, so if none of them quite fits your needs, there are plenty of other great options to choose from.